We recognise the importance of having a work-life balance and we are committed to supporting you in doing that. We want you to enjoy your work and look to help with your development at all opportunities, which is why we have developed a number of policies and measures to assist our employees. In return, we ask that you are flexible and adaptable when delivering services in new ways that are responsive to need. We want to ensure all of our employees are happy and supported in their work place and as such we have put in place a comprehensive support structure. This will mean our employees are supported throughout their career, whether it’s during work or outside of work. You will find advice and guidance on a range of legal and consumer issues, child and elder care, relationships, stress and much more. We’re committed to supporting our employees. We recognise that it’s important to appreciate each individual’s achievements, as well as ensuring you have support in your practice and are provided with the development opportunities to help you progress. Our appraisal scheme is a comprehensive process that provides employees an opportunity to agree their personal development measures, which are reviewed alongside the Trust Objectives. This means that we’re all always working towards the same goals. Supervision is a core component of professional practice, which supports individuals in developing their practice skills and maintaining practice standards. The Trust sees these two processes as key in supporting staff to work towards and achieve the core values of the organisation, as well as their own goals. We have a Staff Charter, which is based on the NHS constitution, and was developed with input from staff. The charter outlines what employees can expect from the Trust and what we expect from our employees. View the Staff Charter here. Working Well promotes and protects the health and wellbeing of 2gether employees. It provides independent advice both to managers and employees on the health of individuals at work, the working environment, health risks associated with the workplace and any occupational implications. Find out more at www.workingwell2gether.nhs.uk. SpeakInConfidence is a web-based system enabling staff to have an anonymous and confidential dialogue about issues they may be concerned about. SpeakInConfidence was introduced following staff feedback and is primarily to support staff who may have experienced inappropriate behaviour but who do not feel able to raise the issue through existing channels. The Trust’s aim is to create and maintain a great working environment for all colleagues, and a place where the best possible care is provided to our service users by motivated staff. Your first day of employment with the Trust will coincide with Corporate Induction, where you will be able to find out more about the Trust and how we work, and includes your statutory and mandatory training. 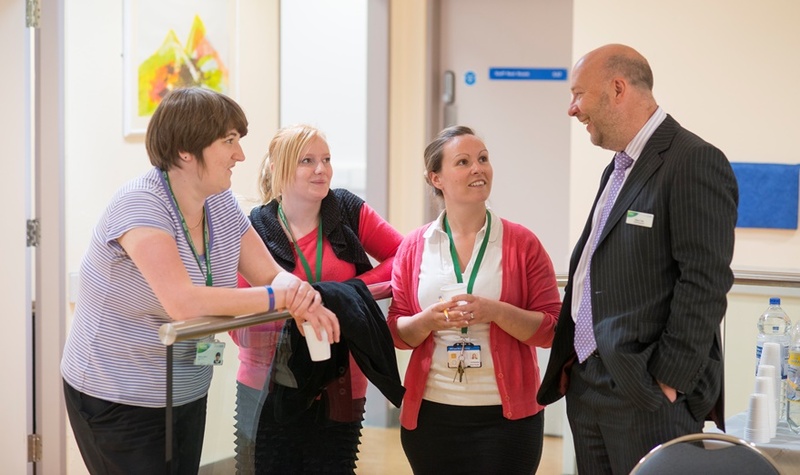 While you are employed by the Trust, there will be opportunities to partake in a range of training opportunities to help you advance your role and career.